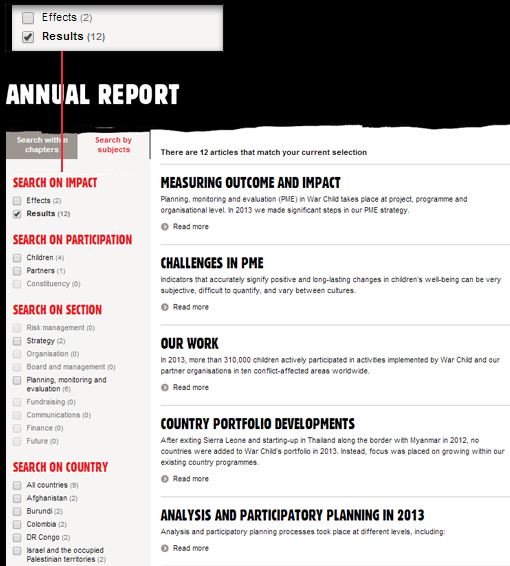 You can search the annual report simply by clicking on a keyword on the left-hand side. After each click, only those articles will remain that correspond with the keywords you have clicked. By doing this you find the information you are looking for quickly from various angles. You also can search the annual report by chapter. For example: Imagine you are looking for the results of our work in 2013. First you click ‘Results’ below ‘search on inpact’ (see figure 1). All articles related to results will appear. 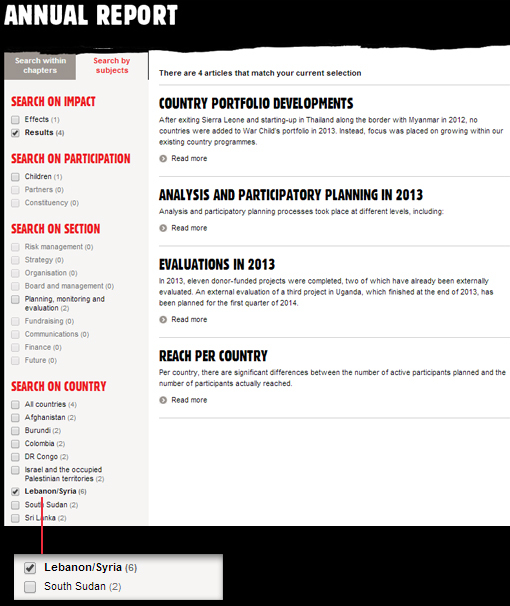 If you want specific information on a country where we work, for example Lebanon, you can click below ‘search on country’ on Lebanon (see figure 2). The articles that correspondent with your clicks will remain.